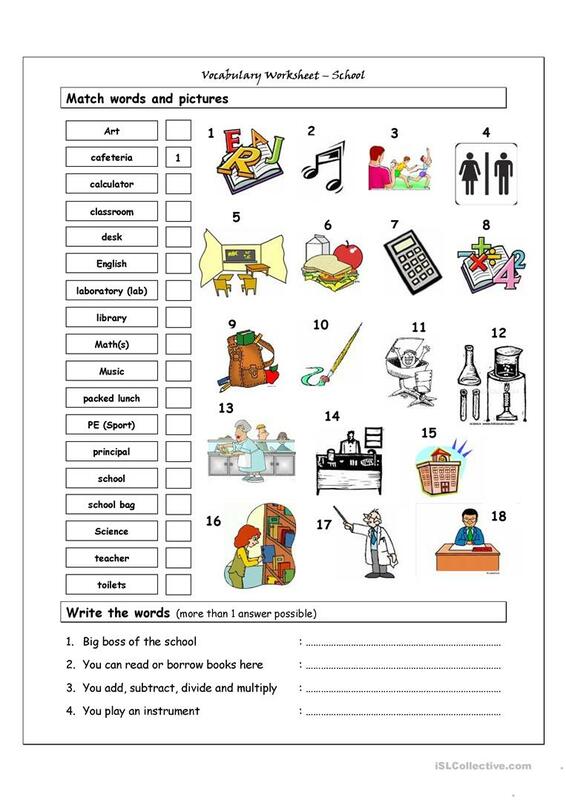 Worksheet containing vocabulary related to SCHOOL. It has two sections: Match words and pictures (matching exercise) and Write the Words (reading & spelling exercise). The above downloadable handout is best suited for high school students and elementary school students at Elementary (A1) and Pre-intermediate (A2) level. It was designed for honing your groups' Reading and Writing skills. It is about the topic and words of School. The exercises come with a key.